We are aware that the Illinois Policy Institute is currently making plans for at least one campaign to try to get IEA members in fair share locals to cancel their membership. This campaign will likely try to convince you – by a letter sent to your home -- that you can save your dues dollars each year by simply sending one pre-paid mailing to your school district to tell them to stop your payroll deduction and a second to your local to cancel your membership. The Policy Institute wants to make it very easy for you to do this because they know that fewer members in your local association means less power at the bargaining table – and that’s their goal. If you’re wondering, here’s a list of other things you would also lose if you cancel your membership. There's still time to apply! The proposal deadline has been extended to July 5! Writing on the Edge is back and bigger and better than ever! Our fourth annual Writing on the Edge Conference is set for Saturday, October 20th, at College of DuPage. This year, we are opening up the conference to any faculty that uses writing in their classes. We are very interested in how writing is used across the curriculum and invite you to come experience the only writing conference put on by and for adjuncts and contingent faculty in the Midwest. We have it competitively priced at only $35 for a whole day of professional development. We will have a keynote speaker on writing across the curriculum, and breakout sessions given by fellow instructors. We are looking for interactive proposals that show how you use writing in the classroom and beyond and the particular insights, advantages, and disadvantages of being an adjunct. The call for proposals is below and also attached. Please consider putting in a proposal this year, and also sending this on to anyone you think would benefit from this conference. Preference will be given to adjunct and contingent faculty, but full time faculty can submit proposals, too! Proposals are due by Friday, June 15th. Hope to hear from you soon! These are far from the best of times for those who must work for income. I was there to represent teachers, responding to the summons of IEA employees that I knew as close acquaintances. When education has become more important than it has ever been for young people throughout the world, the U.S. is abdicating its responsibility in the name of private enterprise. From private vs. public schools to teachers’ unions, U.S. citizens are, quite frankly, under siege. It irks me, enough to alter my weekend activities to come out to a union rally in Daley Plaza. 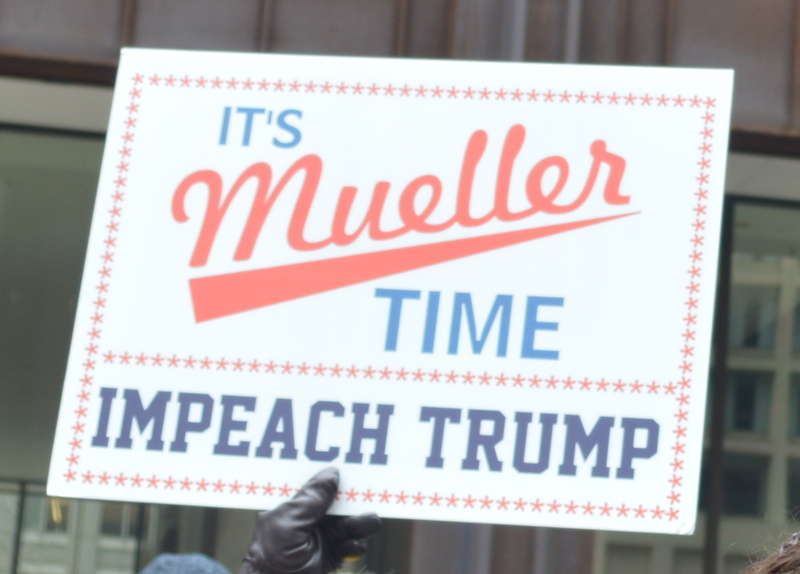 Once there, working my way up to the handmade podium, on 28 February 2018, a cold, overcast Chicago afternoon, I quickly became aware of a broader agenda. All unions are under siege. But, these people were standing up for a just society through the right to unionize. This rally was a full workers’ program with representatives from many sectors, including teachers, nurses, and tradespeople. Strong unions help all citizens, but it takes a group together to get it done. Closer to the podium, I could focus on Father Clete Kiley and Rev. Calvin Morris launching the program with Opening Blessings. Throughout the crowd that covered the plaza, signs imploring all to “Unite” and “Stand Together” were held high. A highly vocal response rose at the conclusion of the “blessings” and initiated a call-and-response pattern through subsequent speeches and exhortations from such workers as Springfield teacher Cysta Weitekamp (IEA) and Stephen Mittons, a child protective investigator with the American Federation of State County and Municipal Employees (AFSCME). Some participants came together in small groups, seemingly to visit, as people do at large parties. While the speakers, Paul Pater representing the Illinois Nurses Association (INA), Jeffery Maher, a Galesburg firefighter (AFFI), “Fight for $15” McDonald’s employees Tyree Johnson and Adriana Alvarez, and so on, gave witness to their concerns about the future of their unions and their livelihoods. As our democracy continues to be under siege (a friend recently sent me word about Trump’s attack on the Environmental Species Act—ESA), the battle appears daunting because the super wealthy have tasted greater chances to end all rules and regulations and will not be satisfied with mere tax reforms. Yet the energy of that rally is lasting. It reminds me that one has to break from one’s routines in these times of deep trouble. 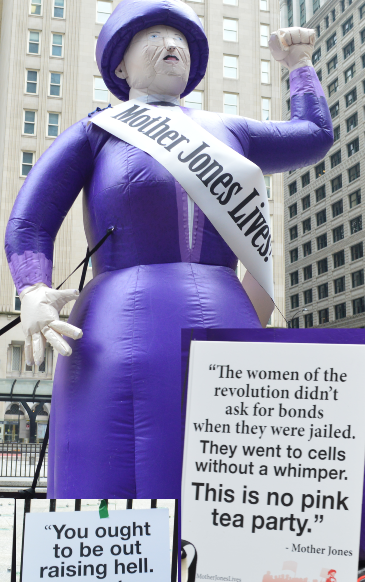 But, besides rallies, just what will it take, short of raising hell, as Mother Jones advocates?